Clutter doesn’t stand a chance with this basket around. Pick it up by the braided handles and move it to where it’s needed most. It not only provides storage but it’s also stylish. 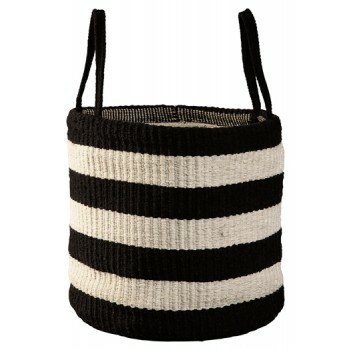 Black and white stripe design is timeless and teeming with cottony texture.